Every so often, I like to grab some time between music composition gigs to gather together the current general wisdom regarding career strategies for game music composers (since so many of my readers are new to the industry and looking for guidance). In this article, I’ve included some of the stand-out ideas garnered from three online resources – a Gamasutra article by a former audio designer for Rockstar North, an awesome discussion thread on Reddit about effective communication strategies (found in the GameAudio subreddit), and a roundtable discussion at GameSoundCon about best business practices for game audio pros. Audio Director Will Morton of Solid Audioworks (formerly a senior audio designer and dialogue supervisor at the famous Rockstar North development studio), has written a comprehensive article for the game industry site Gamasutra about getting jobs in the game audio field. The article, entitled “Make Some Noise! Getting a Job Creating Sound and Music for Videogames,” focuses on the importance of experience, networking and a polished presentation in order to sufficiently impress a potential employer/client. While much of the article is solid advice that might apply to a job seeker in any industry, a few areas impressed me as particularly interesting for game composers to bear in mind. 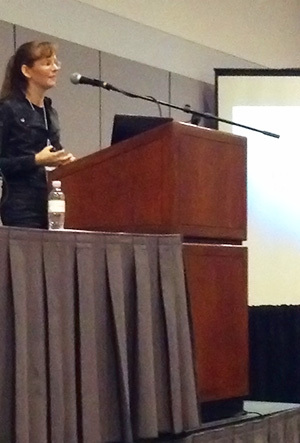 Here, I’m giving my speech, “Advanced Composition Techniques for Adaptive Systems.” Really enjoyed sharing my experiences with interactive music to such an appreciative audience. 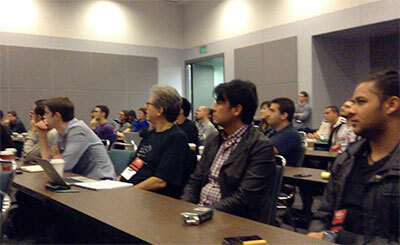 The room was packed — standing room only! 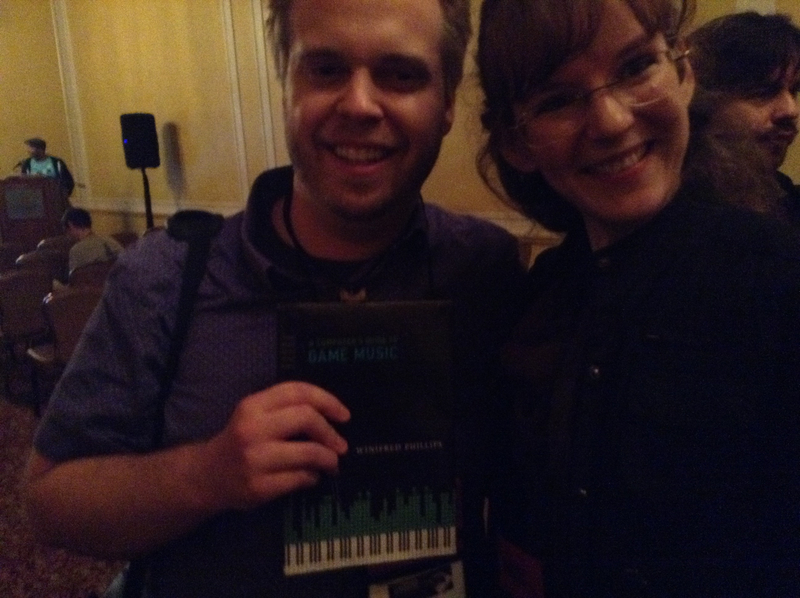 I had the pleasure to meet Matthew Thompson, music and voice lecturer at the University of Michigan, and he asked me to sign his copy of my book, A Composer’s Guide to Game Music. It was great to meet so many readers of my book, and I’m glad to hear that it’s proving to be a helpful resource. 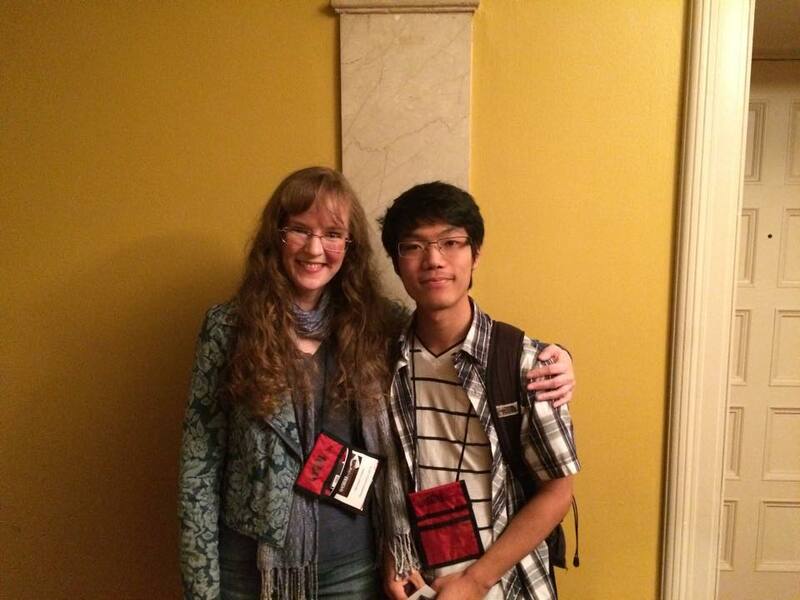 It was fun meeting Evan Yanagida after my speech. What a great photo of him! Really nice guy. 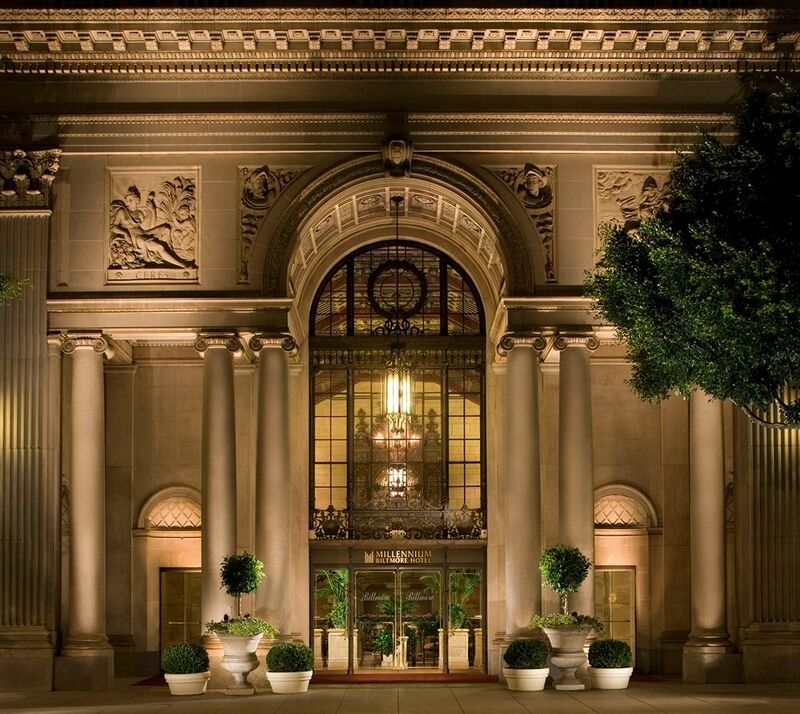 This is the front entrance to the Millennium Biltmore hotel, where GameSoundCon took place. Here’s the ultra-grand entrance hallway that led to the presentation rooms. 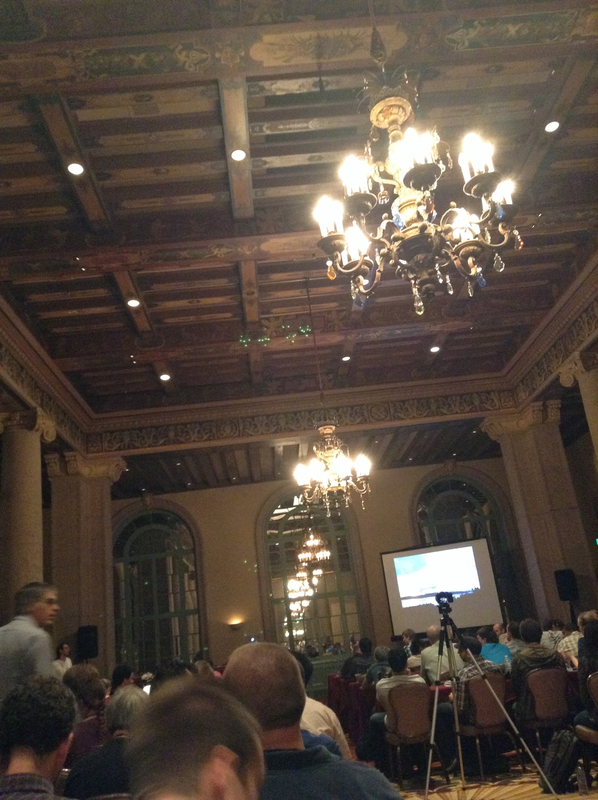 I had to get a photo that included the incredibly fancy ceilings in the presentation rooms. Well, I’m sad that the conference is over – it was a great experience! To everyone who I met during the conference, thanks so much for being so kind and generous with your ideas and enthusiasm for game audio! 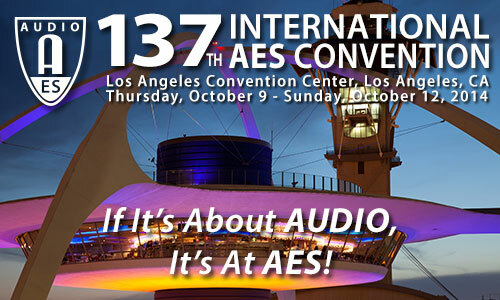 In my next blog I’ll be posting some photos documenting my adventure as a speaker at the Audio Engineering Society Convention, which took place immediately after GameSoundCon ended at the Los Angeles Convention Center (Oct. 9-12). Since GameSoundCon is starting up tomorrow, I thought I’d direct your attention to an article written by GameSoundCon founder Brian Schmidt about the difference between the money raked in by the video game industry and the motion picture industry. While it has been reported that games bring in more money than films, according to Brian Schmidt’s article, the figures for the game industry are distorted by the inclusion of hardware sales. In fact, because film tickets are generally much cheaper than game sales, a blockbuster film must sell tickets to many more people in order to take in the same amount of money that a console game could earn through far fewer sales. Reading this article on the GameSoundCon site, I found myself thinking about the idea of premium purchases. What kind of psychological conditions need to exist in order for a customer to become a big spender — i.e. to opt to spend more money? With a console video game, we are clearly looking at a premium purchase — these games can be up to 50 dollars or more. Does the willingness to spend reflect on the depth and diversity of the experience? Games typically outlast films in terms of their long-term entertainment value. Is this the reason why the top-tier console games are able to sustain their premium pricing? 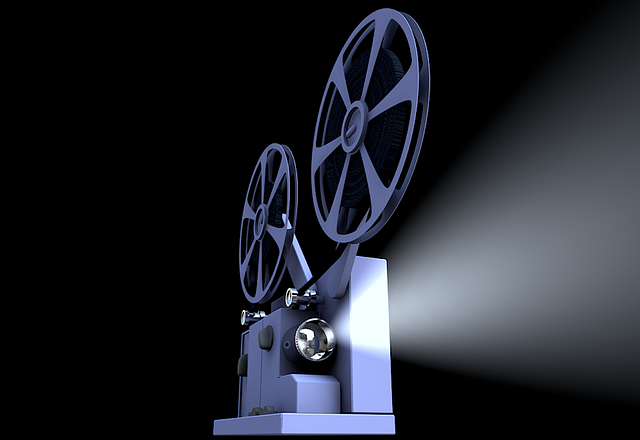 The motion picture industry has made attempts to introduce premium pricing into its business model. From luxurious theaters with reclining seats, to motion simulators with weather effects and smell-o-vision, to 3D formats, motion picture companies have been repeatedly urging movie-goers to part with larger sums in exchange for enhanced experiences, but success rates have been very limited or are rapidly on the decline. Console video games, however, have been successfully charging premium prices for many years. What I find interesting, though, is what happens when these two entertainment juggernauts start reducing their prices. While movie theaters had dug in their heels for many years and refused to offer discounts, there is currently an initiative underway by the National Association of Theatre Owners for discount tickets to be offered in selected locations on off-nights. While experimental and limited in scope, the trial period should be revealing in terms of whether discounts will lure movie-goers back to the theaters with more frequency. 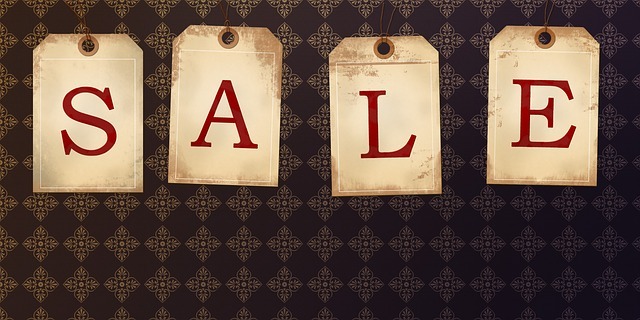 In the world of video games, however, the discount experiment is fully underway in the form of the iTunes App Store, XBox Live Indie Store, the PlayStation Network Minis Store, Google Play, the Facebook App Center, and many other online retailers that offer games for drastically reduced prices. If the movie industry hopes that discounted tickets will lure more people into theaters, then I wonder — have discounted games captured more casual gamers and turned them into frequent players/purchasers? In 2010, Reuters reported that free games had lured players successfully into gaming, converting them into paying customers. However, in 2014 the optimism had waned as an industry analyst at the NPD Group warned that PC gamers, accustomed to receiving discounts, were now expecting all games to be very inexpensive. Currently, XBox Live Gold members enjoy steep discounts with the “Deals With Gold” program, and PlayStation Network Plus members get their games at up to 75% off. In contrast, however, the Gartner’s forecast for worldwide gaming revenues in the coming two years has estimated that mobile, console and PC games will see dramatic increases in their earnings. This seems to be good news for gaming — discounts for some game products may not have taken the luster away from the big-ticket games. Our industry currently enjoys the benefits of a wider array of offerings that can be priced accordingly, whereas the motion picture industry continues to be saddled with a fairly uniform pricing structure that has been difficult for them to challenge and adjust. As the GameSoundCon conference draws closer, I thought I’d talk a little bit about the Game Audio Industry Survey that was designed by GameSoundCon Executive Producer Brian Schmidt. The survey was prepared in response to the broader “Annual Game Developer Salary Survey” offered by industry site Gamasutra. Since the Gamasutra survey suffered from skewed results for game audio compared to other game industry sectors (owing to lower participation from the game audio community), Schmidt set out to obtain more reliable results by adopting a different approach. Instead of focusing on the yearly salaries/earnings of audio professionals, the survey concentrated on the money generated by the music/sound of individual projects. Each respondent could fill out the survey repeatedly, entering data for each game project that the respondent had completed during the previous year. The final results of the survey are meant to reflect how game audio is treated within different types of projects, and the results are quite enlightening, and at times surprising. The financial results include both small-budget indie games from tiny teams and huge-budget games from behemoth publishers, so there is a broad range in those results. Since this is the first year that the GameSoundCon Game Audio Industry Survey has been conducted, we don’t yet have data from a previous year with which to compare these results, and it might be very exciting to see how the data shifts if the survey is conducted again in 2015. Some very intriguing data comes from the section of the survey that provides a picture of who game composers are and how they work. According to the survey, the majority of game composers are freelancers, and 70% of game music is performed by the freelance composer alone. 56% of composers are also acting as one-stop-shops for music and sound effects, likely providing a good audio solution for indie teams with little or no audio personnel of their own. A surprising and valuable aspect of the survey is to be found in the audio middleware results, which show that the majority of games use either no audio middleware at all, or opt for custom audio tools designed by the game developer. This information is quite new, and could be tremendously useful to composers working in the field. While we should all make efforts to gain experience with audio middleware such as FMOD and Wwise, we might keep in mind that there may not be as many opportunities to practice those skills as had been previously anticipated. Again, this data might be rendered even more meaningful by the results of the survey next year (if it is repeated), to see if commercial middleware is making inroads and becoming more popular over time. Expanding upon this subject, the survey reveals that only 22% of composers are ever asked to do any kind of music integration (in which the composer assists the team in implementing music files into their game). It seems that for the time being, this task is still falling firmly within the domain of the programmers on most game development teams. The survey was quite expansive and fascinating, and I’m very pleased that it included questions about both middleware and integration. If GameSoundCon runs the survey again next year, I’d love to see the addition of some questions about what type of interactivity composers may be asked to introduce into their musical scores, how much of their music is composed in a traditionally linear fashion, and what the ratio of interactive/adaptive to linear music might be per project. I wrote rather extensively on this subject in my book, and since I’ll also be giving my talk at GameSoundCon this year about composing music for adaptive systems, I’d be very interested in such survey results! The GameSoundCon Game Audio Industry Survey is an invaluable resource, and is well worth reading in its entirety. You’ll find it here. I’ll be giving my talk on “Advanced Composition Techniques for Adaptive Systems” at GameSoundCon at the Millennium Biltmore Hotel in Los Angeles on Wednesday, October 8th. Many thanks to Brian Schmidt / GameSoundCon for preparing this excellent survey! The kickstarter campaign for the documentary “Beep: A History of Video Game Sound” is entering its final six days. I’m pleased that the producers approached me to be interviewed for their film; I’ll be talking about my career as a game composer and my book, A Composer’s Guide to Game Music. The “Beep” documentary looks like it will be a fascinating project, and all indications are that the resulting documentary will be a wide-ranging discussion of the audio aspects of video game design and production. Two days ago, the kickstarter announced that its plans include coverage of GameSoundCon, the video game music and sound design conference founded and executive produced by the president of the Game Audio Network Guild, Brian Schmidt. The conference is less than a couple of weeks away now, and I’m looking forward to giving my presentation, “Advanced Composition Techniques for Adaptive Systems.” The GameSoundCon crowd is one of the most enthusiastic and creatively-charged groups of people I’ve come across, and it will be great fun to meet new people and talk about the current state of adaptive music in games. 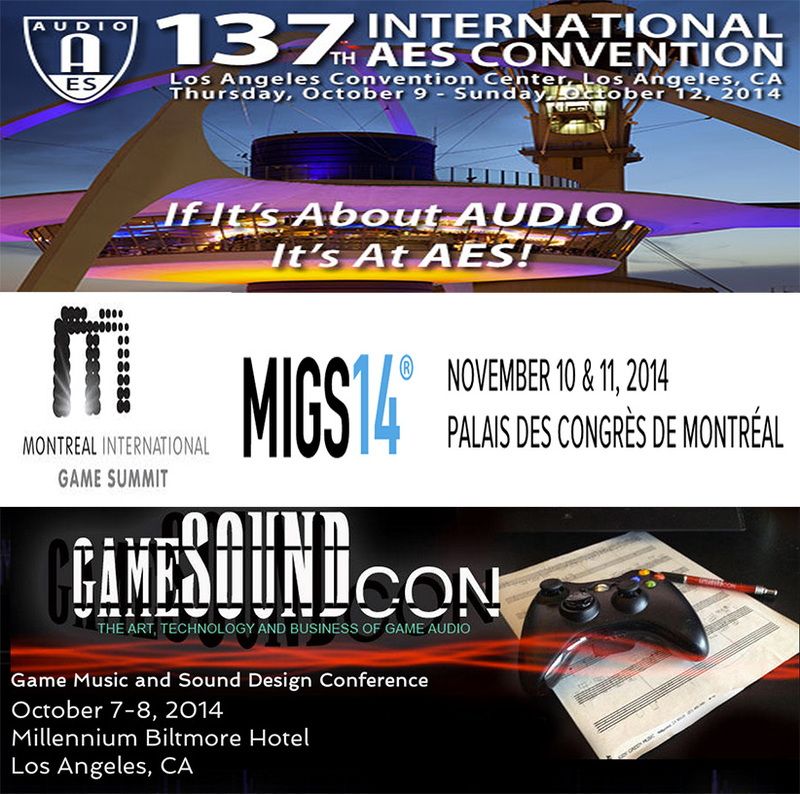 The GameSoundCon conference will take place at the Millennium Biltmore Hotel in Los Angeles on October 7 – 8. GameSoundCon will be celebrating its 10th conference this year. 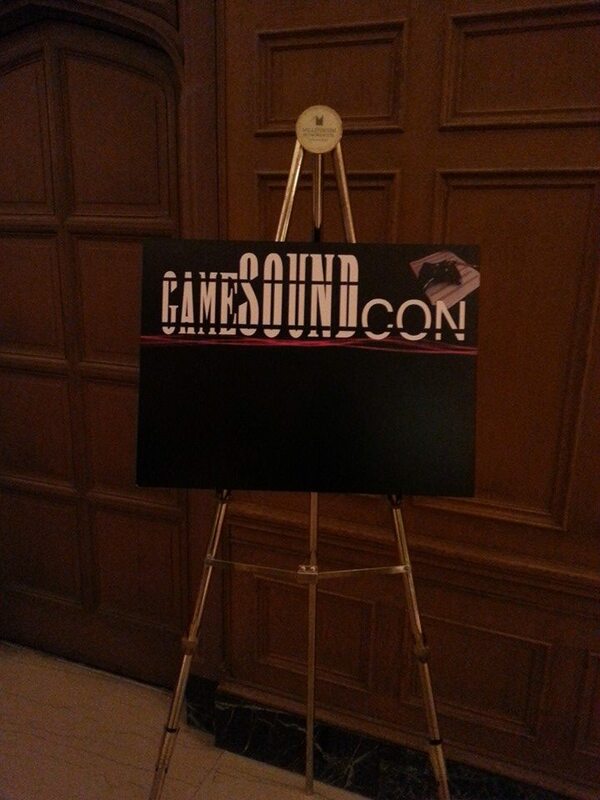 Since its first event in 2009, GameSoundCon has been steadily growing as a resource to the game audio community. GameSoundCon concentrates its sessions solely on game audio, which separates it from other industry events that encompass the entire discipline of game development. Further, the GameSoundCon conference embraces both the music composition and sound design disciplines, differentiating it from other music-centric gatherings such as Game Music Connect, the Ludomusicology Conference and the North American Conference on Video Game Music. This particular combination of priorities seems to make GameSoundCon an ideal event for the “Beep” documentary team, and I wonder how their historical perspective will inform their coverage of the conference. In my own speech at GameSoundCon, I’ll be approaching the topic of interactive music in games from both a modern and historical standpoint, and I imagine that other presentations will do likewise in regards to their topics. 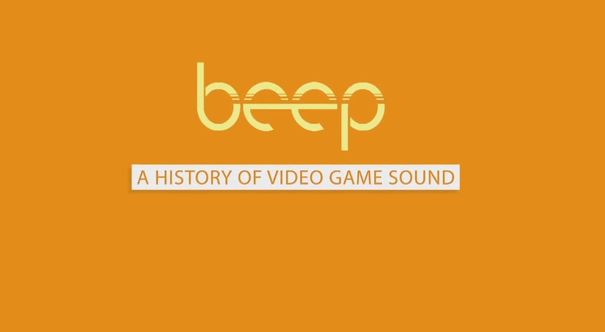 It’s nice that the GameSoundCon event will be documented with the intent to understand its historical significance, and I’m looking forward to meeting the documentary team of “Beep: A History of Video Game Sound.” There are still 6 more days to go before the kickstarter ends, so if you want to get involved, you can go here. 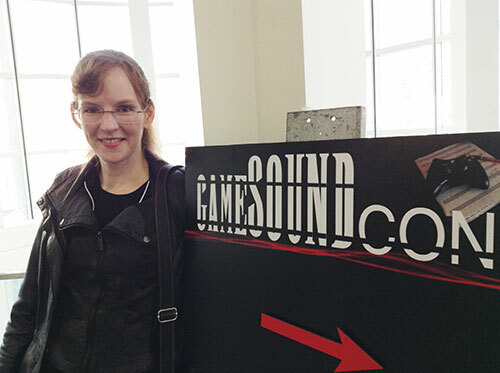 I’ve just come back from a fantastic experience at GameSoundCon, the premiere conference on game music and sound design. It was great to see so many old friends and new faces, and I really enjoyed the conference’s expansion into the LA Convention Center. I’m usually there every year for E3, which is always a mind-blowing spectacle, so revisiting the place when it’s less hectic was a welcome change of pace. 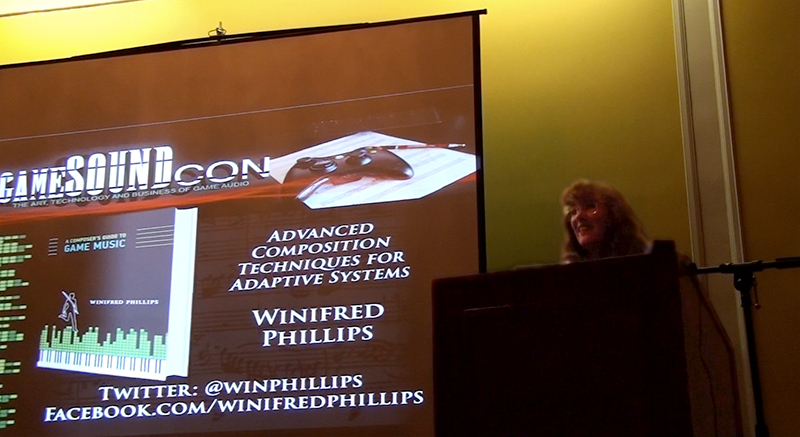 This was my first time speaking at a GameSoundCon event, and the audience was very welcoming. My session, From LittleBigPlanet to Assassin’s Creed Liberation: Adventures in Melodic Composition, took place on the second day of the conference, during the Game Audio Pro track for experienced game industry folks. It was a pleasure to share some tips and techniques, and I really appreciated the warm reception I received. Special thanks to those of you who came up to me afterwards and talked to me about your own experiences. It was wonderful meeting you! 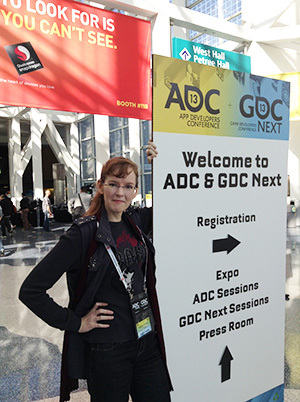 As an added bonus, the GameSoundCon event took place immediately preceding GDC Next, and they were both located in the LA Convention Center, so I was able to attend both events. The expo floor for GDC Next was especially enjoyable, since it included booths for a lot of smaller mobile and app developers that can sometimes be overshadowed at larger shows like GDC. 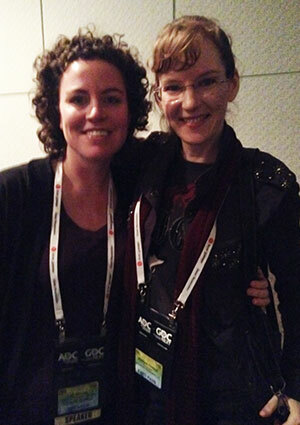 Also, I had the opportunity to attend a GDC Next presentation by the Writers Guild of America award-winning co-writer of Assassin’s Creed Liberation, Jill Murray. Her presentation focused on how to incorporate compelling female protagonists into all sorts of intriguing game concepts. She did a fantastic job, and it was great seeing her there!